Remember 15 years ago - had you heard of Global Warming? Nope, very few had, but because people from all walks of life started to talk about it, had it appear on News, Radio Interviews etc. raised awareness until today where it is one of the top 10 public and personal topics around the world. Raising awareness of the RBE option will help everyone as the idea cross-pollinates around the world just as the systems listed above start ringing alarm bells nationally and globally. We do appear to have a dichotomy, how do we get to a lovely new sustainable city environment from the chaos we live in today, and do it while trying to overcome the challenges above? It is naturally a HUGE undertaking, and some may sit back and say it’s not possible or worth it (Though I wonder what messed up world they will be living in when even just a few of the above scenarios play out). I for one believe it is entirely possible and achievable within the required time frames. We have the resources, the technology, and I believe the willpower once enough people decide that a RBE is the way forward. Some people may say "It can’t be achieved, it’s all utopian ideals!" 1) America and World War 2. Why not ALL countries today? Let me expand on this. Utopia is our current view of an ideal existence sometime in an unreachable future. To point out a Venus Project City as a 'Utopia' is an easy way of dismissing it. However I would point out that anyone making this comparison is doing themselves, and others, a great disservice. The only real difference between the two time periods is the amount of technology and energy that humanity today has at its disposal. A citizen today may not know how a car, or TV, or mobile phone works. They may not know how buildings are constructed, or the massive systems that look after energy, water, waste etc. - but we all use and benefit from that progress every minute of every day. This is our current day Utopia. A Utopia based on technical advancement and the energy to power it all. OK, so we have the "how do we get there from here" problem. What does The Venus Project have to say about the transition? The two above points will require huge efforts to get off the ground. So we are going to need technicians from many fields, where are we going to find them? Well it all comes back to 'spreading the word'. The larger the movement then the larger the talent pool we can draw on. I know Computers, and Solar Power Systems, your neighbour maybe a Doctor, your sister could be Mechanic, your friend a personal trainer. Individually we can’t do much, but as a group we can achieve great things. a party for 100 guests. We are after all fighting for not just for survival, but the uplifting of all humanity. It’s not a task we can afford to mess up. So how can we transition past just a city or two? I must admit I like the word 'Transition', it implies progression from one point to another. It is not a black and white term. I often find black and white terminology (absolutes) counter-productive when discussing progression. For example at the moment there is antagonism towards the oil industry, sure their products pollute with our current usage of them but without discoveries of oil progress over the last 100 years may not have occurred. So let’s look briefly at energy progression, one of the cornerstones of modern civilisation. We have gone from burning wood, too burning coal, to oil, to natural gas, Nuclear and most recently renewables. Have a good look at that list, I bet you know of several instances of almost all of those forms of energy being used by yourself, or people you know. One hasn't replaced the other, but we have progressed up the technology chain as newer and more abundant forms of energy have become available to us. All have their place and application in some form in todays technical society. Access to Energy - preferably in renewable form. The ability to create long lasting and energy efficient buildings using large scale automation and solid building design. The ability to create efficient and flexible city transport systems. Access to other technologies from the Old World until they can be reproduced within the RBE. Access to Money to enable trade with the Old World up until the point of the Monetary System Collapse or until the RBE is fully sustainable. The application of the scientific method to quantify actions as we move forward. So below I am going to present some ideas of how some of the above may be achieved. Please keep in mind that these are ideas that I am proposing that can be used in moving forward and transitioning toward a RBE. I am one voice, these ideas do not necessarily represent anything official, they are just ideas, however if these ideas help in moving us forward then let them live and thrive as we do what needs to be done to move this world forward. future - mining waste for humanities future. What can’t be used within the RBE is sold back to the Old World at 10% under the going market rates. Waste is Cheap - the Old World will pay the RBE to take it away! We could provide building demolishing services to Old World cities. Money received would be used to buy resources that are not currently produced within the RBE. Fuel from waste could be used to power RBE trucks that pick up the trash. We could sell fuel from waste to those delivering 'trash' items to the RBE cities at a 30% discount to current prices. Organic Nutrients to be used to power the hydroponic systems and nourish the city grounds. Note: It’s imperative for people to understand that until everything can be produced within a RBE that those items/resources will need to be purchased from the Old World. For those actually leaving the Old World to live in a RBE city I would expect a donation of their old house etc. to the RBE. The house/land would either be sold or used respectively. Monies from sales would go toward purchasing resources and/or equipment not yet available within the RBE. Land that is not sold would be used as new "wild" areas, or possibly as areas for a new city. If the monetary system collapses then sale may not be an option, however demolishing a house and using its resources for the new cities, and letting the land go back to nature, would also work. Remember several paragraphs above I talked about how we transitioned through several forms of energy production and usage? Well the same can be said for money, as a system it has changed over the years to become the dinosaur it is. I won’t go into why as a system it is becoming increasing fragile and will fail us into the future as the consumer and debt cycles collapse. What we do have to acknowledge is that as a form of trade we need to use it as a means of exchange between the Old World and the RBE until it reaches a point that money itself becomes worthless. So the Money aspect is only short term until the monetary system collapse. Sales/Purchases between the RBE and the Old World. Which would imply bank accounts, which raise the question which bank? If time and red tape allows I would suggest that the RBE sets up its own bank - this will allow freedom, and we can use the 'monetary value' of the cities to purchase Old World resources at interest rates of say 0.01% - so negligible and legal. Money Borrowed from the RBE Bank can be used for the creation of cities in third and second world nations, as well as the acquisition of needed automation and production systems so that into the future very little will need to be purchased from the Old World. Note I propose that for every city built in a first world country that an equivalent city is created in a second/third world state. 4) It’s the Energy Stupid! One of the pillars of todays civilisation is the abundant energy from oil. This has powered us strongly over the last 100 years. So why not continue to use it? Oil is much more useful and has a higher monetary value to oil companies when used to create things like pharmaceuticals, plastics, rubbers, food wrap, lubricants .... this list is almost endless, that's how pervasive oil is in our civilisation. When burnt has huge environmental impacts that could still see the planet go through a massive change via the greenhouse effect. Knowing the above why do we insist on burning this precious resource for energy and transport? I touched earlier on how we have progressed through different levels and types of energy usage. We are now on the cusp of a new, renewable, and amazingly abundant energy revolution. If you haven't guessed I am talking about Solar, Wind, Wave, Tidal, Geothermal, and other unrealised technologies. If you put wind turbines in all the windy places in the USA they can provide EVERY USA energy need several times over. The amount of Sunlight that falls on the earth in a single daylight hour is enough to power the WORLD for a whole YEAR! The still in development wave power generators promise to be able to supply at least 5% of less sunny climate locations like Britain. Peer review documents released by Beyond Zero Emissions ( http://www.beyondzeroemissions.org ) shows that a country like Australia can be fully powered by available and proven renewable technologies within 10 years at a cost of around 3% of GDP over a 10 year period. There now exists three different types of solar power plants that can provide electrical power 24 hours a day - yes even at night! Renewables can and should take their rightful place at the top of the energy ladder, but why aren't they? Growing but still small public awareness as to how powerful renewables can be. Lack of long term government and industry planning and support. Money, oodles of it, to push the progression forward. Shaky national, worldwide and corporate economies that have either slowed or stopped roll outs of the newer technologies. Old World Multinational Corporations influencing government and the public alike to maintain the status quo so they can make as much money as possible with at best lip service regarding the results of their actions. Under the above conditions large scale roll outs of the technologies that can save the planet will not occur fast enough. So in a nut shell, the roll out of RBE renewable powered cities, where money is a reducing factor over time, is pretty much the only way forward that I can see. Without energy we perish. With energy we can turn salt water to fresh, transport anything anywhere, run automated factories to produce what is required, help to grow as much food as is required, and dare I say it - have a bit of fun! Imagine going to the other side of the world on a supersonic train to visit friends, cousins whoever - this is what unlimited energy can do, it’s what oil has done for us, now we need to let renewables take the batten and run hard! The global and viral idea of a RBE means that peoples in states all over the world will want to create cities. Even if just one city of 50,000 people is created in each state of the world would mean that the movement has tangible global presence, and 'buying power'. By default that also means that it starts to mimic some attributes of a corporation. Let’s look into this a bit closer. What aspects are similar and how can they help push the RBE forward? Global Reach and Global Presence. This is fairly self explanatory, once there is even one 50,000 person city per state it means that the RBE would have around ten million "employees/members" which would make it one of the largest "corporations/collaborations" as far as people participating in it. With,or without a RBE Bank, the RBE becomes a powerful entity, its ability to produce goods, or even if used for just waste removal, would make it more powerful than many of the smaller nations on earth. Lucky for the RBE all the nations peoples would be involved in rolling out RBE environments. It’s hard to needlessly fear something that's helping your country and peoples. Due to the global spread, diversity of talent, and intrinsic motivation within the first cities the RBE will see rapid development of new technologies and processes, which could have the RBE outpacing the world as a whole over time - further improving standards of living and reducing global environmental impact. monetary system collapses, and energy, water, food becomes expensive this will become easier and cheaper for a self sufficient RBE to do. In effect the RBE becomes the Ultimate Renewable Participatory Corporation that is based and runs on environmentally sustainable systems. While Old World cities, businesses and Corporations that profess the same go into decline and collapse. If you have gotten to this part of my little ideas paper then pat yourself on the back! I don't profess to hold any answers, and I am sure what I have said above will lead to much discussion, I hope none heated, I don't want anyone dying for beliefs, I am just sharing some ideas and ideas are easier to change than beliefs. I am sharing these for the potential good of all on the globe, and for the globe herself. So think about what has been shared, you may have better ideas - even better! I think it is time for humanity to wake up, stop waiting for governments, messiahs, corporations etc. to get us out of the situations we are heading towards, its up to each of us, every single one of us, together we can move mountains - we have collectively changed the world for the worse, its now up to us to put things right, for ourselves, our family, our neighbours whether they me next door or on the other side of the planet and the generations to follow us. It is time to spread the word, to empower yourselves, to make things happen. Creating a better future for all. i would like to invite you onto my podcast to speak, please e-mail me to schedule, this is great work. As I don’t have iTunes I can’t seem to listen to your podcasts. Unfortunately I’m flat out as I’m preparing for a trip interstate, but might be able to squeeze in a little bit of time next week. Sorry for the late reply – life has been keeping me busy. Lets chat about the podcast that you would like to do. Quite a comprehensive article. There are more roadblocks to renewable energy that you had mention but it does all boil down to the red tape and sometimes, certain people who have vested interest. Articles like this help pave the way to our better future. Thank you for your insights. Hello therefriendI I found your web site on Yahoo the other day and I am quite delighted that I did! I truly like your posting approach and material of which you provide. Thanks a ton friend for Proposed Transition Steps to a Resource Based Economy …, a great blog post! I like the way in which you have discussed this particular topic. Very insightful. I want to move now to a place where this being started. I don’t have money to offer towards the movement but I can offer to be a ” labor worker” in building the cities. I would love information as to what can I do now or where to go to get the ball rolling. I am sincerely frustrated with humanity as a whole because of the way we treat each other and I see this RBE movement as step towards a more peaceful less greed driven society. If someone has any informationas to what I can do to help or where to go please let me know. Thank you in advance. There’s a few attempts to create small sustainable communities around the world. 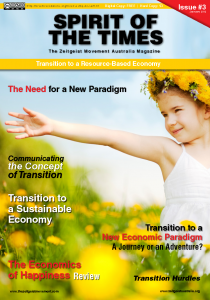 Check out the transition towns movement or permaculture. It is true that there is a lots more talk than action when it comes to building RBE, or more correctly transition, villages/cities, bit understandable given the challenges. We have recently started a community in Peru based in RBE concepts, see our facebook page Kadagaya. There are also groups like One Community, Open Source Ecology, New Earth Nation, Moneyless Society, rbe10k etc planning/building communities. All of the above can be done using existing structures/businesses right now. I am pioneering a transition model called ‘GREEN Biashara’ that will launch as an investment club. Based on the innovative concept of “a producer currency” the i-Kash product animates a new investment tool which changes the entire concept of money. The net result is a smooth transition to the RBE. Great site. A lot of useful info here. I’m sending it to a few buddies and also sharing online. And obviously, thank you to your effort! Hey there, just turned conscious of your blog through google, and discovered that it is very educational and interesting. I’ll truly appreciate should you decide keep up this post. I am keenly interested in any attempts to establish an RBE community. It is my view that the power broker Elites are far more sinister than most people realize. They own the media and I see the way they are manipulating people.